Will I have access to view my campaign performance? The answer should be “yes”. This is one of the most important questions to ask. There are 4 levels of account access that an employee within a business can be assigned to view their account. If the agency is setting up a campaign from scratch, they will create an account for the client, and then use MCC (My Client Centre) account access. This allows an agency to manage multiple accounts from one login; this will not affect the ability to provide a client access. The reason you should have access? – Simple, How do you know if your PPC account is performing and generating revenue if you can see it for yourself? How do you know if your leads or revenue is coming from PPC if you cannot see it for yourself? Have budgets and targets been discussed? Has your agency discussed your budgets and targets with you? Every campaign needs a budget, and you need to know what to expect from your budget and agree with your agency what you are prepared to spend for a conversion. What are you profit margins? If your agency does not know this, how can they ensure you are getting a good ROI (return on investment)? How much company information did your PPC agency request from you? Have you been asked about products, or your business promotions or USP’s? If not, then how does your agency know what content to include in your advertising? It is important that your agency knows as much about your business products or services and USP’s to enable your ads to stand out against your competitors. If your company is unique or qualified in a specialist area or can offer products cheaper than the competition, how is this communicated if your agency has not asked this information? If your business operates at specific times or only on certain days a PPC campaign can be tailored to adapt to this and ensure you are getting the most for your budget – if your ad is running on a day when your business is closed, your account could receive wasted clicks and frustrated customers as an end result. A PPC agency should find out this information beforehand. HeadRed go through all this information such as budgets, seasonal trends and USP’s before we even start a campaign. It is vital that your agency understands your business. What account performance updates do you receive? Ensure your PPC agency will implement a reporting structure to you. The level of reporting might be determined by the size of the campaign and budget but you, the client, still need an update. The reporting might be a weekly phone conversation, or a monthly report emailed directly from Adwords, a created report in Excel or a PDF even. Even if you have access, check you will be regularly updated with reports and progress on your campaign. Do you know how much revenue is being generated from your website? A company website is there to generate business and revenue. Therefore you should know how visitors are finding your site (SEO, PPC etc), what keywords are being entered to find your site and which avenues and keywords are generating revenue. This can be identified through Google AdWords and Analytics and if your PPC agency has not set up any enquiry or revenue tracking, then you should start raising questions. How do you know where to focus advertising budget if you cannot identify which form of advertising is generating the most revenue and which keywords are converting? 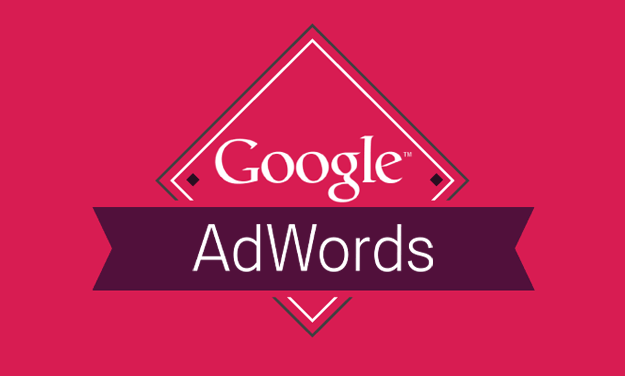 Google Adwords and Google Analytics accounts should be set up as standard, linked in to each other and you, the client, should have access to both so you can see this information. If you don’t, I would certainly ask why? What happens if I want to terminate my contract? From time to time, for whatever reason, a client and PPC agency part ways. It happens, but you, the client, need to check what happens to your PPC campaign afterwards. If the agency has setup the campaign from scratch, you should still have access to that account as it’s yours and the agency can remove their MMC access and part ways nicely. This is not always the case though. In some instances, an agency can terminate a clients access to their account. This will mean, you can no longer get budget information, performance history or any other details such as converting keywords. Check beforehand, what you have access to and you will ‘own’ in the event of a contract termination. We have lost count of times a client has come to us, unable to access their account information. The key to a successful PPC agency and client relationship is transparency. The PPC Team at HeadRed value this and we understand the importance of working with you, the client. If any of the above situations resonate with you, or you are looking for a PPC agency, then the PPC team at HeadRed will be happy to discuss your campaign and look after you, so feel free to give us a call.